Langeroo Adventures is the perfect opportunity for us to rethink Langeroo for modern platforms and device types. When we released Langeroo, it was for use on traditional PCs and interactive whiteboards, but with the rise of tablets in the classroom, and 2-in-1 devices such as the Surface, as well as the app distribution model, we have the chance to create something really fun and innovative. One of the most important factors is that each game in the collection works with multiple interaction models. For example, we’re considering touch screen interactions, traditional mouse and keyboard use, game controller use and even more recent interaction models such as gestures (for the Kinect) and how the product might work with Virtual Reality (such as Oculus Rift) and augmented reality (such as HoloLens) in the future. Each game is built with this thinking in mind. We also want to art style to be super engaging, with characters that delight our younger audience. Each character has multiple animations to make our users smile, and want to interact further with the games. One of the key things we’re doing is to give highly visual (and audio) cues – with animations for wrong answers, and even bigger and better animations for correct answers as a reward. The first Langeroo Adventures game to enter development is Tortoise Beach. This game teaches English words from our word bank of over 350 words. 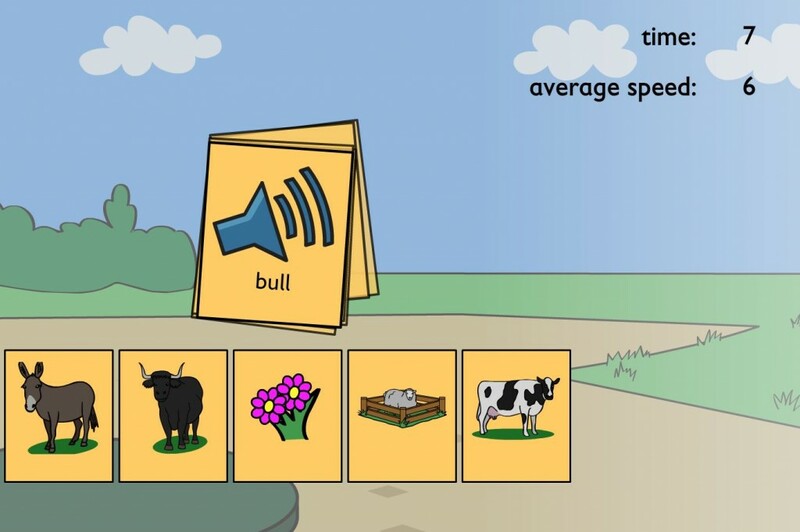 In Langeroo Online, we have a quick-fire game that features interactive flashcards. In this game, the player sees the written word and can hear the word being spoken. They then click the matching picture. This activity is incredibly popular in the schools and libraries using Langeroo, but we wanted to make this game far more interactive in Langeroo Adventures. In Langeroo Adventures, we have dreaming tortoises. The entire environment is alive and moving, with waves, and swaying trees. The goal is to increase the amount of interaction, and to delight the younger player as they discover how the game works. In this game, the tortoises enter the scene, they pick their spot and then fall asleep and begin to dream. 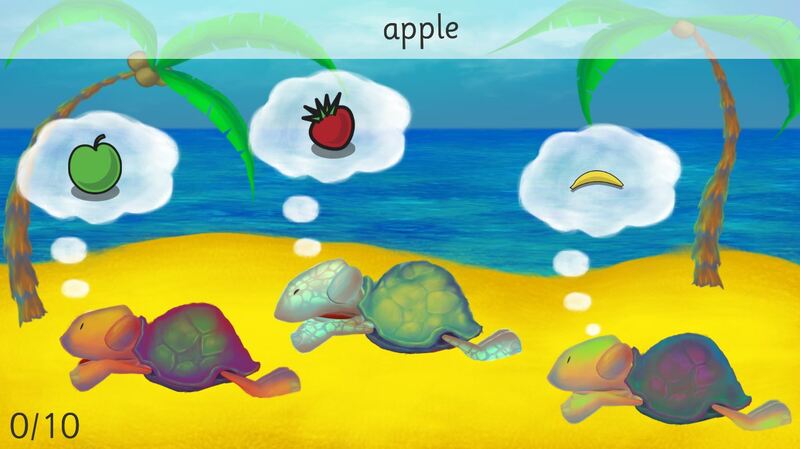 The player then sees the written word, and will hear it spoken, and they have to pick the tortoise that is dreaming of that word in order to progress through the game. If they answer correctly, the tortoise will wake up, have a good stretch and head off to begin his day. If the player guesses wrong, the tortoise will wake up, give a grumpy look to the player, then fall back to sleep. You can see an early look at the animation in this development video. There will also be other interaction points throughout the game, along with a visual scoring system too (which is still in development), but this gives you an early look at the first game in development. We have games which teach all the words in Langeroo, such as this one, whereas other games teach specific themes such as the alphabet, colours, and shapes. We’re looking forward to sharing details of our other games soon, and we can’t wait for you to get your hands on Langeroo Adventures later this Summer on Windows 10, iOS, and Android!